Real estate investor Sam Herzberg’s desire to turn the 91-year-old Sterling Building into a 130-room hotel has sparked interest in Miami Beach to encourage more hotels and smaller rooms on Lincoln Road. Miami Beach commissioners Ricky Arriola, Joy Malakoff, and John Elizabeth Aleman on Wednesday largely backed a proposed law that would waive parking requirements for hotel additions attached to historic buildings on Lincoln Road between Alton Road and Washington Avenue. The proposed rule would also increase the height limit to 75 feet for hotel additions on Lincoln Road and allow new hotel units that are 200 square feet in size. Under the current zoning that covers Lincoln Road, height is limited to 50 feet. Also, new hotel rooms built in Miami Beach must be at least 300 square feet under the current code. At a Miami Beach Land Use and Development Committee meeting, Herzberg’s attorney, Michael “Micky” Marrero, said his client has wanted to transform the two-story, office-retail Sterling Building at 925 Lincoln Road into a 75-foot hotel and retail complex for years. Unfortunately, Marrero claimed, the city’s parking impact fees and current minimum size requirements for hotel rooms haven’t made such a hotel financially possible on Lincoln Road. Boutique hotel additions could help bring back mom-and-pop restaurants and shops to Lincoln Road, he said. Many of those smaller businesses have been replaced by big corporate stores, as Lincoln Road has become one of the most expensive retail centers in the United States, with rents averaging $300 per square foot. “This is a way to spur development and keep the contributing elements [of Lincoln Road] without bringing more big-box stores,” Marrero said, adding that the developer intends to keep Books & Books in the Sterling Building, as well. “We just add a tower in the back toward the end,” Karp told the three commissioners. “That’s the concept we are playing with right now.” It would be a tower as well as a courtyard in the back, Karp said. Should the city approve the Lincoln Road hotel ordinance, Herzberg hopes to start construction by the end of 2020, Marrero said. Commissioner Malakoff said building a hotel addition behind The Sterling Hotel “makes a lot of sense.” She was also pleased that the proposed ordinance restricts hotels to the north side of Lincoln Road, which tend to abut commercial properties. The south side of Lincoln Road, on the other hand, tends to abut residential properties. But Malakoff opposes hotels using rooftop additions for parties, especially if they’re near SoundScape Park where movies and classical music concerts are often projected onto the wall of the New World Symphony Building. “I don’t want to hear rap music coming from the rooftop,” Malakoff said. Former Miami Beach commissioner Nancy Liebman, now an activist affiliated with the Miami Design Preservation League, urged the Land Use Committee not to rush the ordinance forward. She was especially worried that raising the height limit to 75 feet will encourage future developers to push for even taller buildings. 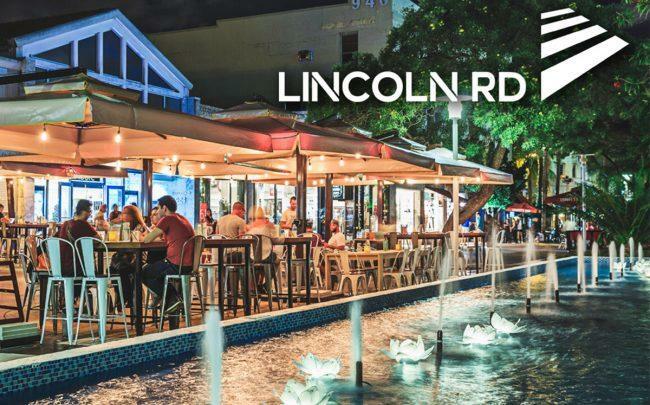 “All of a sudden they will grow a little higher, and a little higher, and that will be the end of Lincoln Road,” Liebman said. The proposed ordinance will come back to the Land Use Committee on May 22nd. During that time, the city’s planning department will compile a list of potential sites where hotel additions could be built on the north side of Lincoln Road.